Approaching the newly opened Eustis Estate, visitors first take in the dramatic 1878 manor house, a stunning brick and stone masterpiece of the Aesthetic movement. At the top of the winding drive, they park their cars in a neatly edged lot, soaking up the sweeping lawns, pretty stone path, and majestic trees that spread out over the property. But the thing that they probably won’t notice? The fields of vegetables growing beyond the parking lot, despite their proximity and lush abundance. For those who do spot the fields beyond the tractors and tall grass, they might wonder: Why is Historic New England, the nonprofit owner and operator of nearly 40 significant historic house museums across the region, growing winter squash and kale here in the Blue Hills? The short answer is that they aren’t: Brookwood Community Farm is cultivating the land behind the Eustis Estate in Milton. They’re also growing food on land owned by the Department of Conservation and Recreation (DCR) at the historic Brookwood Farm and at the Eleanor Bradley Estate, owned by the Trustees of Reservations in nearby Canton. In a unique arrangement, the decade-old Brookwood Community Farm has partnered with three nonprofit agencies and organizations to revitalize historically farmed land, bringing back cultivation, stewardship and people to those properties. How did they get here, and how might this approach serve as an example to other would-be farmers and landowners? Judy Lieberman, like many local residents, was vaguely aware of the old farm on Blue Hill River Road. Anyone who explores the Blue Hills, takes their kids or dogs to Houghton’s Pond or participates in Maple Sugar Days each spring has seen Brookwood’s grassy fields, abundant wildflowers and the distinctive red farm buildings. Brookwood Farm, bequeathed to Massachusetts by Henry Saltonstall Howe, had been farmed for centuries. Howe was somewhat of a gentleman farmer: Living at the base of Great Blue Hill, his farmhouse came with great views and a convenient commute to his financial job downtown. When he gave the land to the Commonwealth, he placed a conservation easement on it, ensuring that it would stay open space for perpetuity. Maintained by DCR, not much was happening at Brookwood in the years after Howe’s death (with the exception of a proposal in the early 2000s to make it the official residence of the governor). The land was hayed each year, but mostly it was overgrown and quiet. Lieberman, who had a background in farming and activism, was determined to see the land planted and used as a farm once again. A connection with fellow farm advocate Mark Smith set her plans into motion. Smith, a former campaign director at FarmAid, was another champion of the local food movement, particularly in the densely populated—and prohibitively expensive—area surrounding Boston. Smith knew a guy who shared those sentiments: Steve Burrington, who just so happened to be the newly minted DCR commissioner. The group approached the commissioner armed with a plan. They would plow the land at the historic Brookwood Farm and bring it back to life, providing fresh vegetables to local residents through a CSA membership as well as donating a portion of what they grew to local food organizations, satisfying the group’s interest in social justice and making fresh food accessible to all. To Burrington, it was a no-brainer. At Brookwood, the land was considered a buffer between the already-existing Blue Hills Reservation land and the racing cars and snarling traffic of nearby routes 93 and 95. People walked their dogs, bird watchers reveled in spotting rare species, but that was about it. The location was also incredibly unique—just mere miles away from Boston, with thousands of people living in close proximity or passing the farm on a daily basis. Burrington gave the Brookwood Community Farm group permission to farm one acre of the land. That first season, the spring of 2006, the Brookwood team got a late start. First they had to plow the land, which was rock-hard from years of neglect. Another challenge loomed: “The state required us to have an archeologist present to follow the plow,” Smith recalls. The area is known to have high historic and archaeological significance, so it triggered a law that made state observation essential. As they methodically tilled the dormant earth that spring day, the Brookwood Community Farm team let out a sigh of relief that they didn’t find a single item of interest. Then the crops started to grow. And grow and grow and grow. The founding members of the farm—12 families in total—were soon overwhelmed by the amount of produce coming their way. Quick thinking and negotiations led to Brookwood Community Farm selling its surplus bounty at the Roslindale and Milton farmers markets. The goal of creating a farm community at the historic Brookwood Farm was being realized—with more people enjoying fresh food grown right in their figurative backyard, there was a deeper connection to the land and appreciation for what it could produce. After that first successful season, the Brookwood team was approached by the Trustees of Reservations: Did they want to farm at the Bradley Estate, a mile south in Canton? The 90-acre property featured a stately brick mansion, a series of elegant gardens, fields and carriage paths that curved through woodlands. It was beautiful—and available. The farmers got into the ground there in 2007, encountering rocky fields and soil that was a sandy loam mix, making this location the best bet for spring and early summer planting. A few years later, a new opportunity presented itself to Brookwood Community Farm. Co-founder Mark Smith vividly remembers the day that he first saw the site, which a friend had suggested he visit. “Do you know the Eustis family?” the friend had asked. “They have a few old fields off Canton Avenue.” Smith was only vaguely familiar with the area. As he drove through the iconic stone gatehouse and up the hill toward the great house, he knew this was going to be a different kind of conversation. Built for newlyweds William Ellery Channing Eustis and his bride, Edith Hemenway, the mansion is impressively perched atop a hill, giving visitors a grand view of the vast hundred-acre estate. While W.E.C. Eustis was a mining engineer at a firm in Boston, at home he considered himself a country farmer. In the years that he and subsequent generations lived on the estate, much of the pastoral open space was devoted to farm life. The family kept prize-winning cows, horses, and grew a wide range of fruits and vegetables. It was this heritage that likely endeared the last owners, Frederick and Libby Eustis, to the idea of having Brookwood Community Farm dig into the old fields behind their home. When the Eustis family negotiated the sale of the estate to Historic New England in 2012, Frederick Eustis made it clear that he wished for Brookwood Community Farm’s operations to continue on the site. And Historic New England, for its part, remains supportive of Brookwood’s use of the Eustis Estate fields, maintaining that it is an important continuation of the agricultural heritage of the site. More than 10 years later, Brookwood Farm is prospering in its three locations. Their unique land model has allowed them to create a farm in the middle of one of the most expensive real estate markets in the country. But can it be replicated? 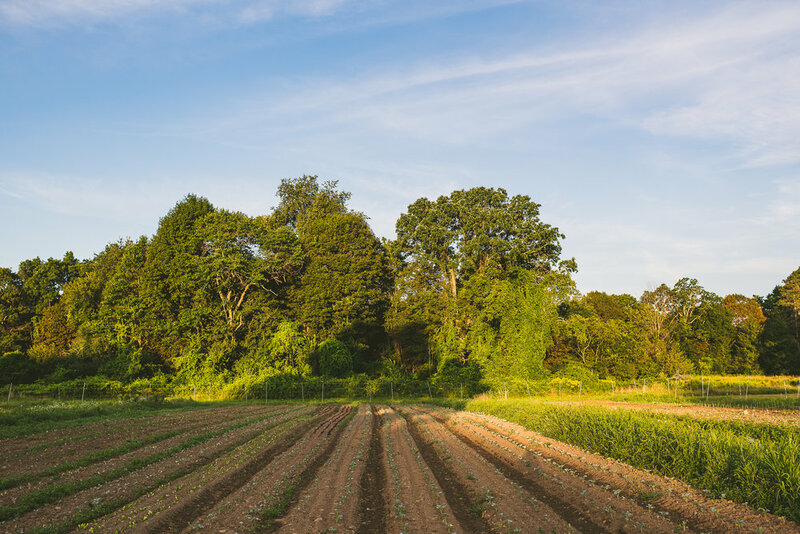 New England is a notoriously difficult to place to farm: small plots, rocky soil, unpredictable weather patterns and a relatively cool climate. Land here is also some of the most expensive in the country, making it nearly impossible for prospective farmers to buy and start a new farm, particularly in the Boston area. At the same time, the region has always been at the forefront of land conservation. State agencies, land trusts and history-focused nonprofit organizations protect these relics of New England’s vast agrarian past. The fields are everywhere: tucked away behind old stone walls, along suburban roadways and hidden (sometimes in plain sight) by overgrown brush and woodlands. As it becomes harder to hold on to land that has been in the family for generations, more and more properties have come under the protection of these nonprofit preservation and conservation groups. Much of this protection is put in place to stop things from happening there—residential or commercial development—but very few come with ready-made ways to use the land for a positive impact. Nor do they come with a built-in group of people who care about the land, a necessary piece of the complicated challenge of revitalizing land. While much of the land may have scenic value, it can also feel a bit ghostly and neglected. The solution might lie in neighboring communities. If you can get people to care about the land, they will provide stewardship simply by being there: advocating for it and keeping an eye on things, possibly lightening the load of over-extended and under-funded agencies and nonprofits. And if you could make that land productive and attractive by growing food on it? Well, that’s a win-win solution for all groups involved. The mission of the Trustees of Reservations is to preserve land of exceptional value for the use and enjoyment of the public. This means that they are always working to get people to visit the protected lands, whether to hike, bird watch, enjoy a scenic view—and increasingly, to purchase food grown on the land. In recent years, the organization has built up their capacity to cultivate their land. They now have several working farms in their system—producing fruits and vegetables, dairy products and meat—with the goal of growing their agricultural output even more in coming years. Collectively, their CSA programs total over a thousand enthusiastic members. These individuals make weekly visits to the properties, thereby engaging a community of people who care about the land. For Historic New England, there is a real desire to maintain or reintroduce traditional uses to the sites that they operate. 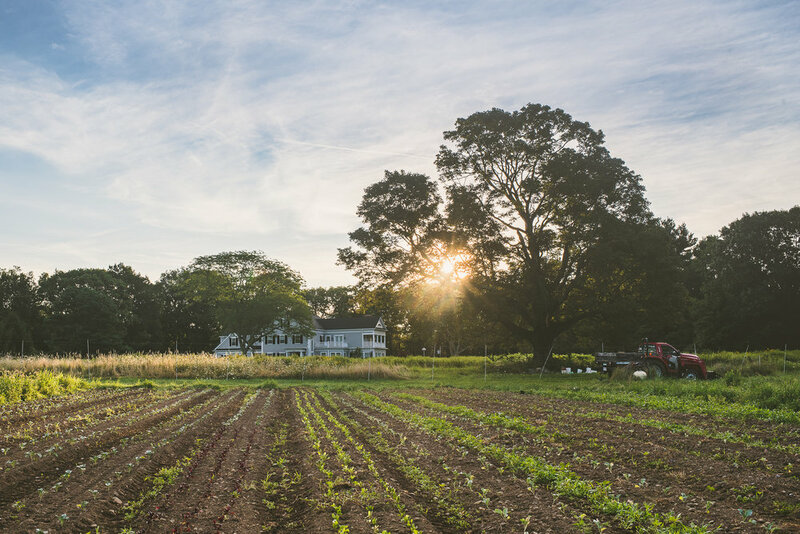 They are running active farming operations at sites like Casey Farm and Watson Farm in Rhode Island, bringing life back to historically farmed land while also connecting with members and farmers market customers on a regular basis. But as the demand for locally grown food surges each year, the nonprofit organizations can’t always keep up. They know that at this time they can’t do it alone, so they are increasingly working with outside partners—like Brookwood Farm—to bring the land back to life. So why aren’t more farmers joining up with nonprofit landowners to farm the land? For one thing, it’s difficult to effectively inventory the land, assess the best use for it and then find the right farmer to cultivate it. By nature, it’s often a reactive process: If a farmer approaches them and presents a strong case, a nonprofit landowner like the Trustees or Historic New England can consider entering into a trial period to see if it’s a good fit. But even then, pairing the right farmer with the right land can be difficult: Farms need infrastructure, particularly water. Farmers who lease land face insecurity—they may want to invest in that infrastructure, but without the option of a long-term lease, it doesn’t make sense for a cash-strapped farmer to pour money into systems that they might not control in a few seasons. Around the country, small farm incubators or “pop-up farming” programs are beginning to take root, leading to job creation, more locally grown food and often the revitalization of historic farmland. Here in Massachusetts, groups like New Entry Sustainable Food Project are matching farmers with private landowners in an effective way, offering assistance in lease negotiations and training for all. A systematic approach to identifying farmable land on their properties, as well as providing new farmers with flexible leasing arrangements and some basic infrastructure could go a very long way. 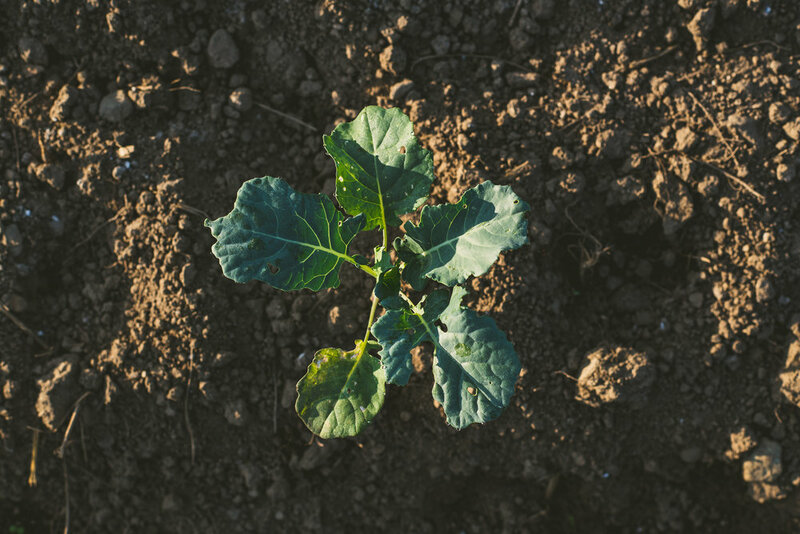 The growing interest in locally grown food provides an exciting opportunity for nonprofit landowners to experiment with the growing acreage under their protection. They might just find that another part of our New England heritage, that resourceful and entrepreneurial spirit, is alive and well. This story appeared in the Fall 2017 issue.